Carey Services will dedicate a public sculpture on Oct. 25 that artists in the Creative Hearts Art Studio have created. The dedication will occur at 2 p.m. at Hogin Park on 14th Street near the Cardinal Greenway in Marion. The sculpture and matching benches were installed in September. Artists in the Creative Hearts studio created the colorful birdhouse-looking sculpture. 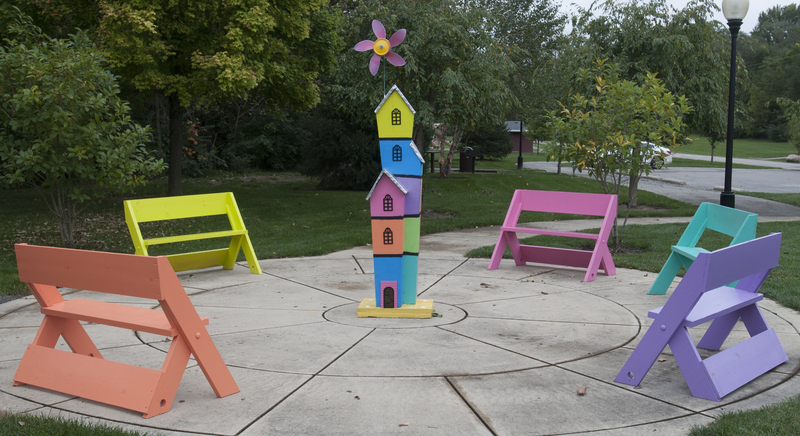 Students at McCulloch Middle School built the benches, and studio artists painted the benches to match the sculpture. The dedication will include comments from Jim Allbaugh, Carey Services’ president and chief executive officer, and Marion Mayor Jess Alumbaugh. The public is invited to the event.